GŌBLE, a new brand of artistic accessories is launching to the North American luxury market with a daring and irresistible Spring 2016 collection - GŌBLE COOL. Cindy Goble is the creative force behind the new brand which caters to women who appreciate artistic exclusivity, timeless quality and Bohemian style. Inspired by the collaboration of minds and hands, Goble explains: "For me the melding of design and materials creates wearable art that is as unique as the woman who wears it. Handling yarn with the fingers and the feeling of inherent possibilities is why I knit and weave as a form of self-expression. The tactile experience is very intimate and it is also exceptionally satisfying to unwind and disconnect from technology. What a contrast to the current high-tech world we live in." Canadian award winning photographer, Arline Malakian, has shot GŌBLE's branding and GŌBLE COOL Spring 2016 collection. In a series of provocative images, Malakian has captivated the GŌBLE artistic process. "It was a unique pleasure to creatively transfer the excitement that Goble and her team of knitters and weavers experienced while creating GŌBLE's artistic accessories, to those who will wear them with pleasure, for their artistry, quality, comfort and style". GŌBLE's innovative luxury accessories are created by hand, in Southern Ontario, Canada, by a community of artisans and under Cindy Goble's creative direction. One by one, various threads, knitting yarns and touches of fur, have found their way into GŌBLE artistry. At first they are beautiful in texture and colour and when woven or knitted together by hand, they emerge as contemporary, timeless and collectible accessories intended for caressing the skin with their softness, and with style, they adorn and comfort the body of a woman. 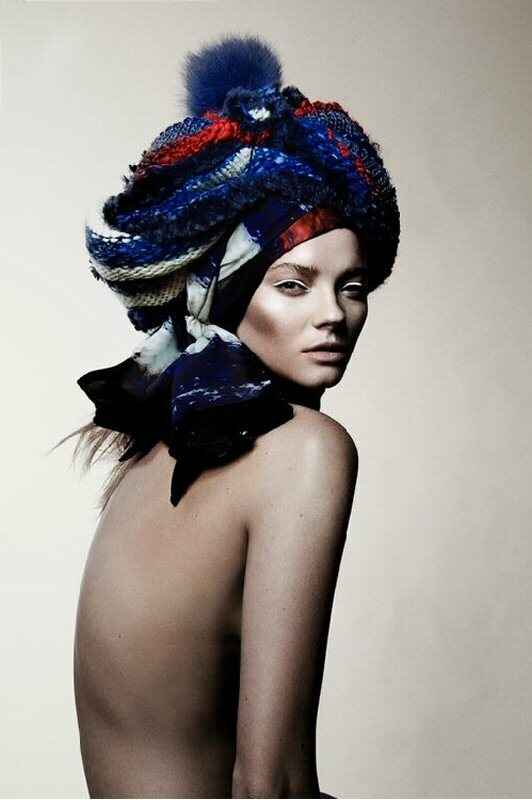 GŌBLE COOL Spring 2016 collection encompasses six timeless accessory collections: Mohair Waterfall Shawls - $250.00; Pashminas - $425.00; Museum Shawls - $335.00; Paige Fringe Shawls - $395.00; Flowing Silk Blend Scarves - $165.00; and Large Square Soft Wool Scarves - $250.00. GŌBLE COOL artistic accessories will be available, in early February, at fine retailers and art galleries throughout Canada. For further information on GŌBLE and its artistry, please visit GOBLE.CA. The complete list of retail stores and galleries follows this release. To read Cindy Goble's Biography please click here. To read the History of GŌBLE please click here. To see the Retail Price List please click here. To see the list of Retail Partners please click here. GOBLE COOL: Paige Fringe Shawl in Romantic Pink. GOBLE COOL: Whimsical Infinity Shawls and Silk Scarves in Nautical and Scarlet Blue; Whimsical Slouchy Hat in Borealis Blue. 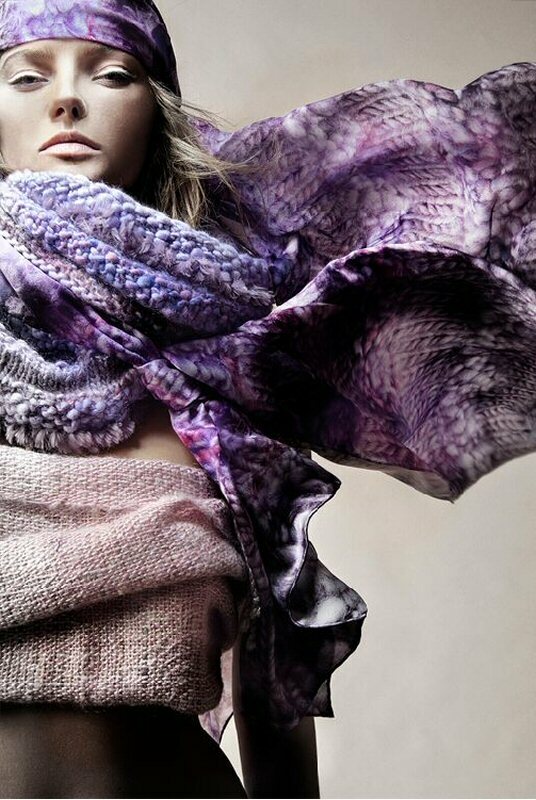 GOBLE COOL: Whimsical Infinity Shawls and Silk Scarves in Violet Flame; Pashmina in Ballet Slipper. GOBLE COOL: Silk Scarf in Aqua Lime.